Etisalat, the Middle East’s leading telecoms provider announced today (download PDF) that it has built and launched its first live Network Function Virtualization telco cloud in Abu Dhabi. 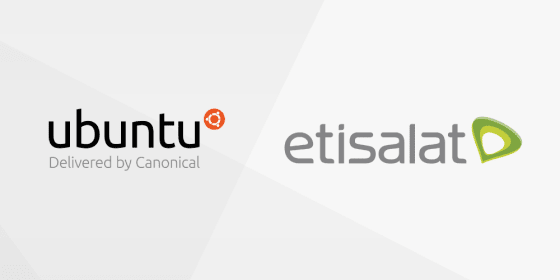 The NFV-based telco infrastructure has been built with Quanta servers, Arista switches and Canonical’s Ubuntu OpenStack, a multi-vendor combination integrated for production for the first time ever globally. Based on open-source OpenStack cloud platforms used by the likes of NASA, CERN and leading web companies, further clouds are in progress in more sites across the UAE. Realizing the potential and benefits of cloud-based and software-defined technologies, Etisalat launched a corporate-wide program in 2016 to “cloudify the network”, dubbed Sahaab—an Arabic word that translates to ‘cloud’. The program aims to harmonize between the hardware-centric telecom services and the software-centric cloud services across the corporation.